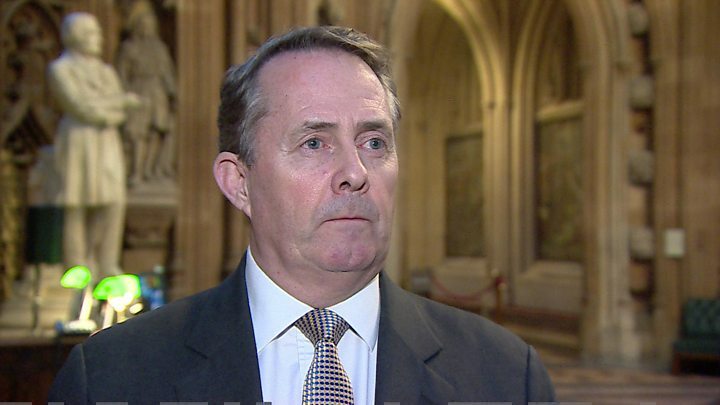 The UK won’t be able to roll over an EU trade deal with Japan in time for a no-deal Brexit, Trade Secretary Liam Fox has said. In 2017 Mr Fox said the UK would be able to replicate 40 EU free trade deals by Brexit day. But so far the Department of International Trade has only been able to finalise “continuity agreements” with seven of the 69 countries and regions with which the EU has trade deals. The UK also has mutual recognition agreements signed with the US, Australia and New Zealand. Industry group the CBI said deals with Japan and Turkey not being concluded on time would be “an unwelcome surprise” for business. EU trade deals offer UK companies benefits like reduced tariffs on goods, enhanced access to markets for services and common standards on intellectual property. British exports to Japan are worth £9.9bn per year. The organisation’s director of international trade and investment, Ben Digby, said it was “vital” for the government to rule out a no-deal Brexit. “Many companies are unaware it is not just their relationships with EU customers at risk from a no-deal Brexit, but those across the globe,” he said. “Individual businesses trading with markets outside the EU would face tariffs worth millions of pounds being slapped on them instantaneously. People’s Vote supporter and Labour MP Stephen Doughty said: “Brexiters promised that voting Leave would mean a bonanza of new international trade deals that would make up for lost trade with the EU. “Instead, Brexit is costing us the global trade deals we already have as EU members.